Not often, but about once a year I have a yearning for an onion ring. However, I’m constantly disappointed by shop-bought versions, whether frozen, chilled, battered or breadcrumbed. 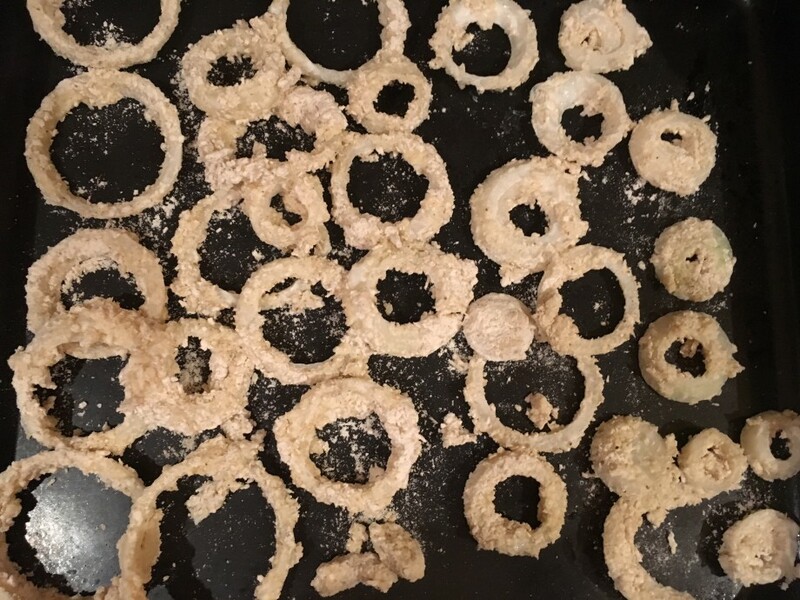 The arrival of one of my nephews, a trusted taster who doesn’t baulk at a bit of deep-fried food, spurred me on to try and make the perfect crispy ring. I rejected a battered version as the batter almost always slips off the onion and an all-breadcrumbed onion ring was a bit heavy. Flour mixed with a few panko crumbs won hands down in the perfect crunch stakes. I have tried both white and red onions and both work well and I reckon little petals of shallot, fried until crisp, would be worth trying. I have an electric deep-fryer which takes all the stress out of frying but you can fry without one. Just make sure not to fill the saucepan with too much oil-not even half-full- and don’t fry too much at once. In a separate bowl mix together the flour, panko and Bay Seasoning. Add a generous pinch or two of Maldon salt. Start to heat the oil-it needs to reach 170˚c. 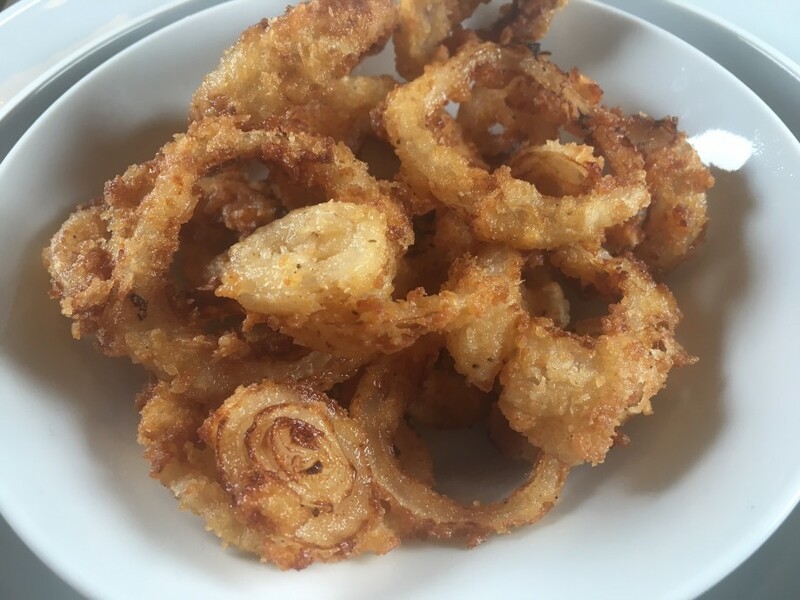 Lift out a few onion rings, tapping off any excess buttermilk. Roll in the flour and panko mixture and place on tray. Repeat for the remaining onion rings. Deep-fry the coated rings for about 2 minutes, until deep golden and crisp. 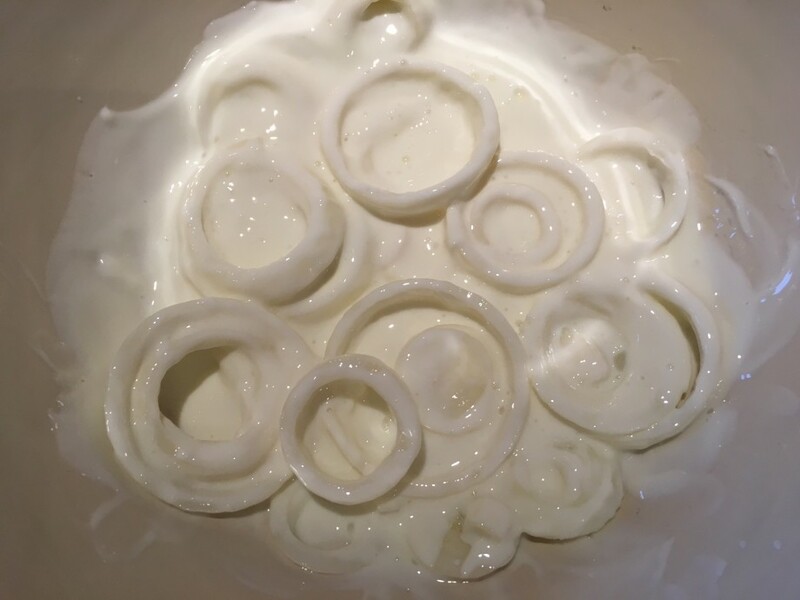 Drain on kitchen paper and keep warm in a low oven until all the onion rings are fried. Serve as soon as possible.